Archibald Wilkie, to a design by David Bryce, the well-known Scottish architect, whose works include a number of other large country houses, as well as the former Edinburgh Royal Infirmary, Fettes College and extensions to the Bank of Scotland head office building on The Mound in Edinburgh. 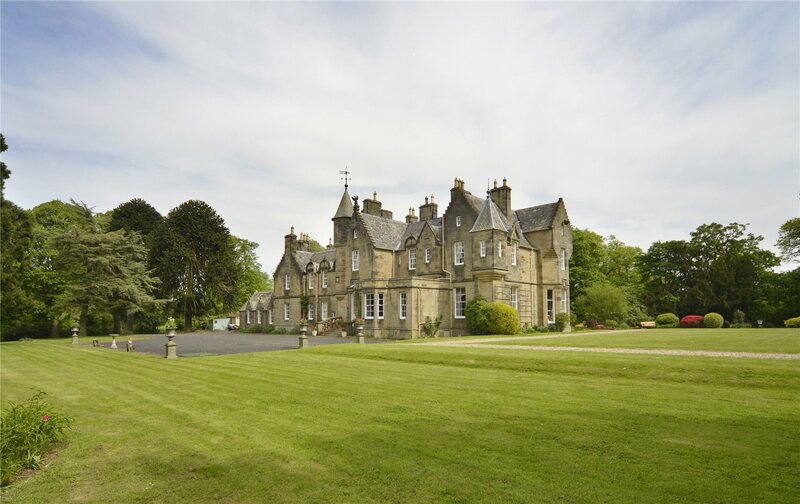 The land on which the house stands was formerly part of the Ormiston Hill Estate which was owned by William Cullen, a key figure in the Scottish Enlightenment and a friend of Adam Smith and David Hume. 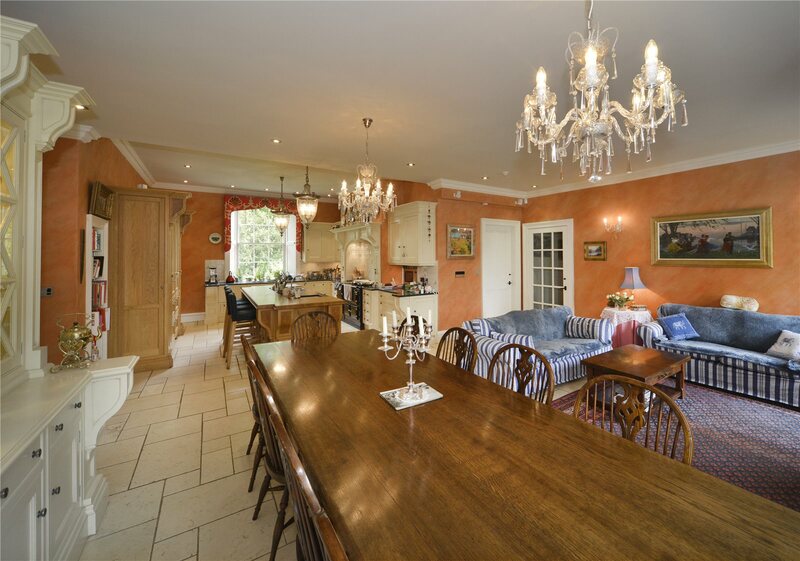 Over recent years the house has been refurbished and now provides an exceptional family home on a grand but manageable scale. 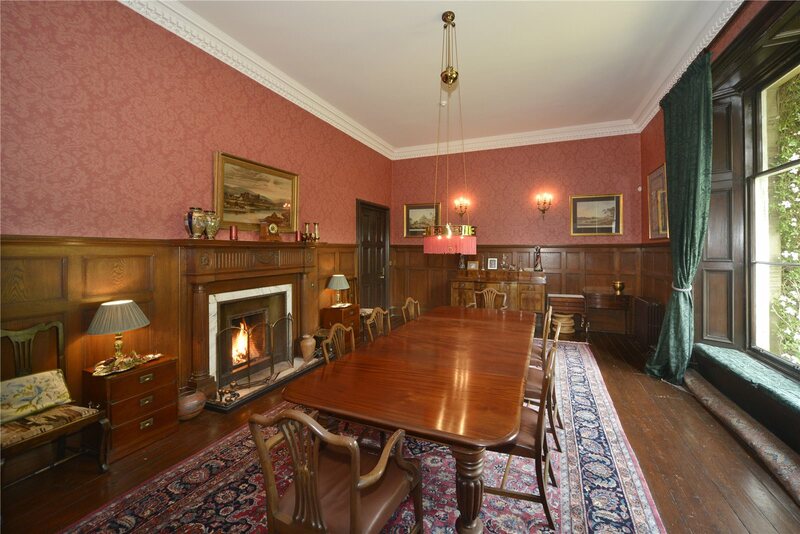 There are a wealth of period features, with Corbie-step gables, turrets with conical roofs, ornate plasterwork, mosaic tiling, parquet floors and fireplaces with stunning marble surrounds. 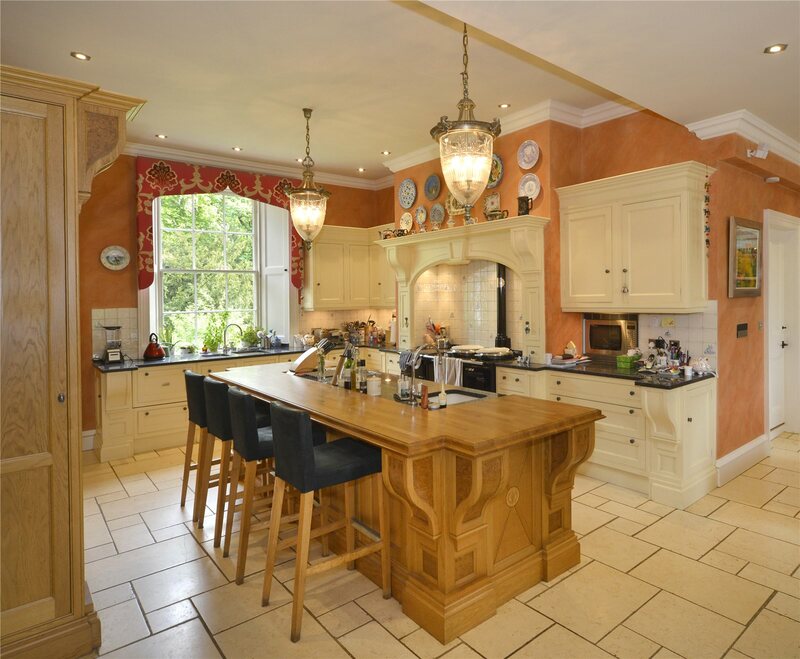 The standard of finish internally is exceptional; en suite bathrooms have been replaced, a Clive Christian kitchen has been fitted and the decoration is of an exceptionally high quality. 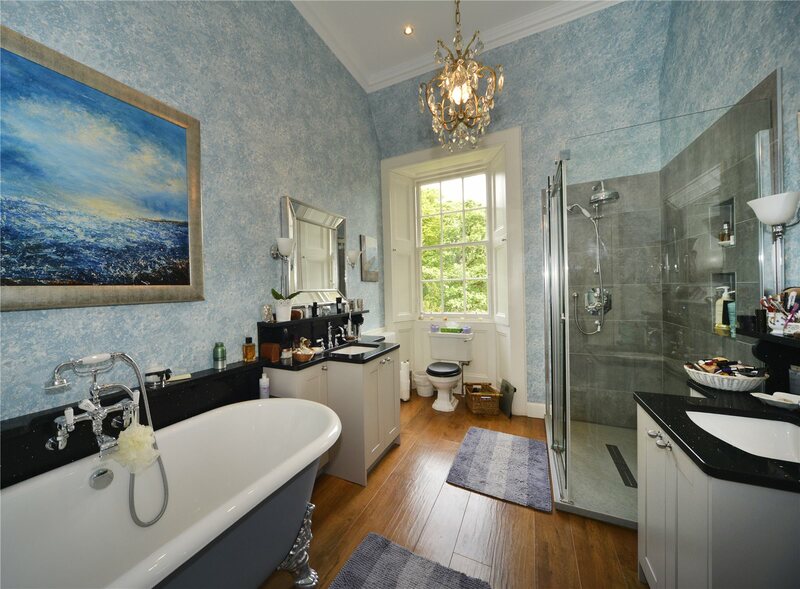 views, an excellent en suite bathroom, with a large roll-top bath, twin sinks and a double shower cubicle. 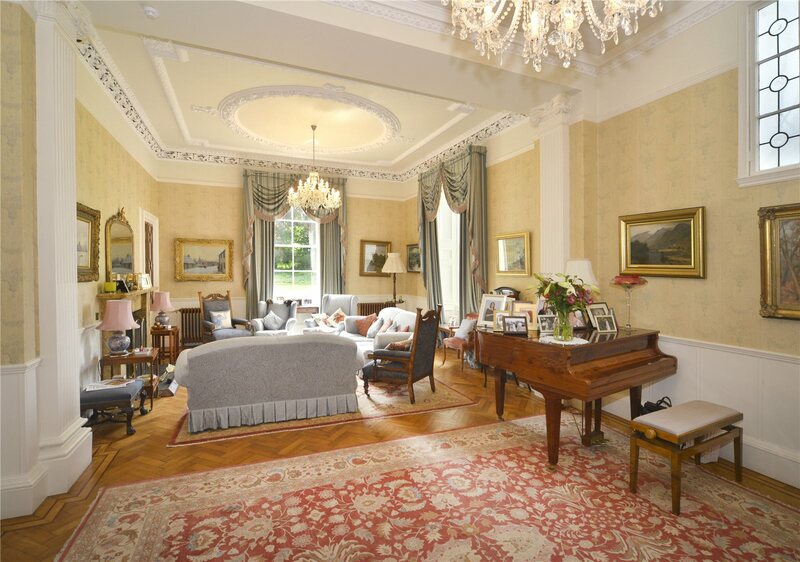 There are three further double bedrooms off this landing, two of which have turrets and en suite bathrooms with the third having an en suite shower room. Accessed off the half landing is a guest wing. 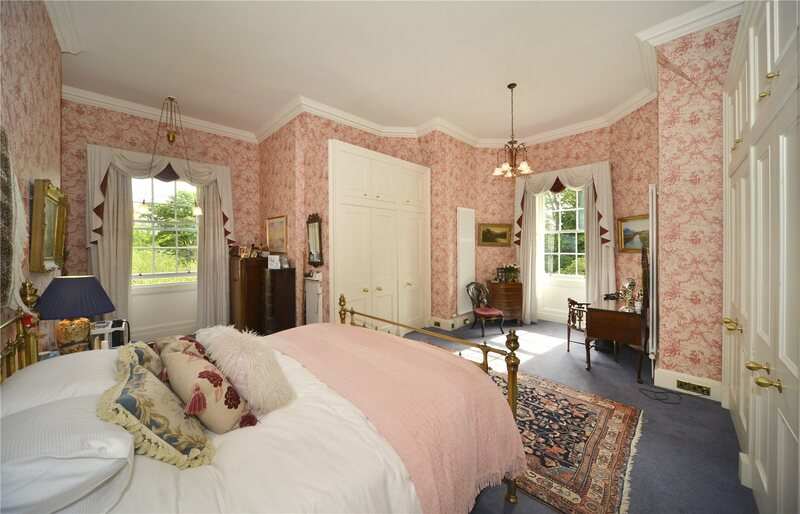 This has three bedrooms, one of which is served by an en suite bathroom, the other two by a large shower room. 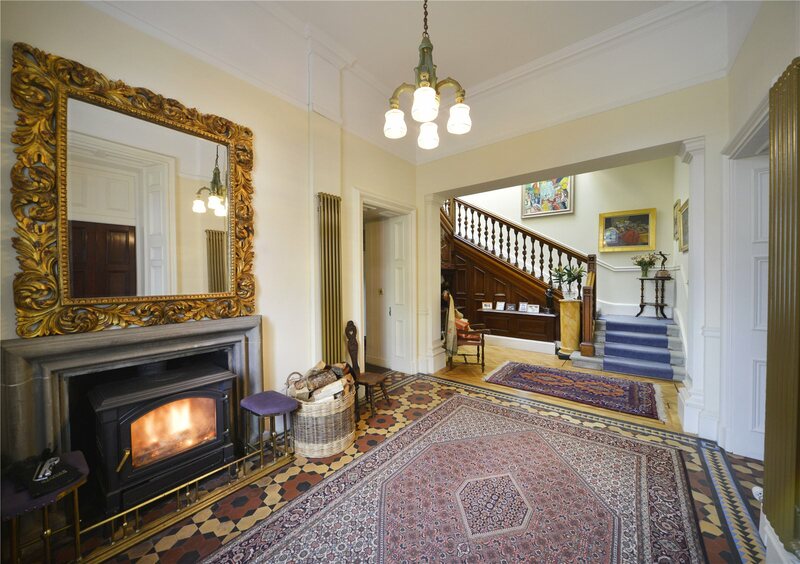 This guest wing has a secondary staircase which leads to the ground floor. tank. Mains gas-fired central heating. in Band H for Council Tax purposes. over the Gogar Burn is C Listed. fittings will be excluded from the sale. 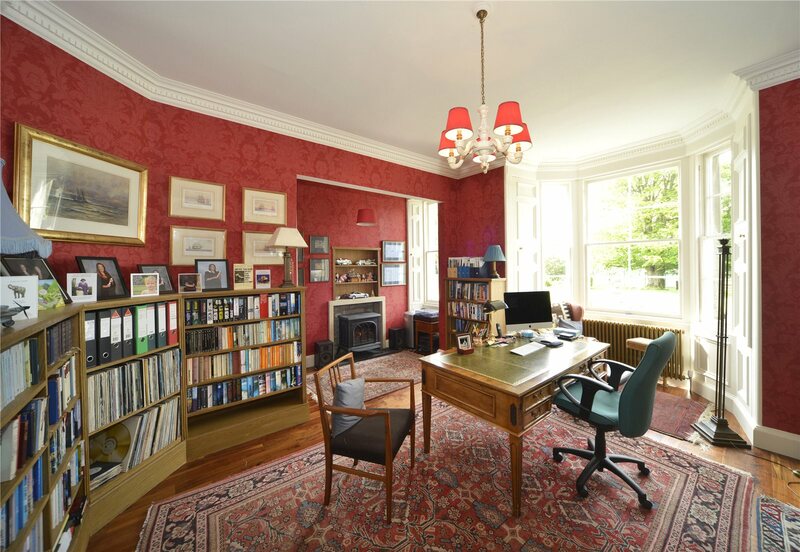 llp, 76 George Street, Edinburgh EH2 3BU. and The Kirknewton Inn. 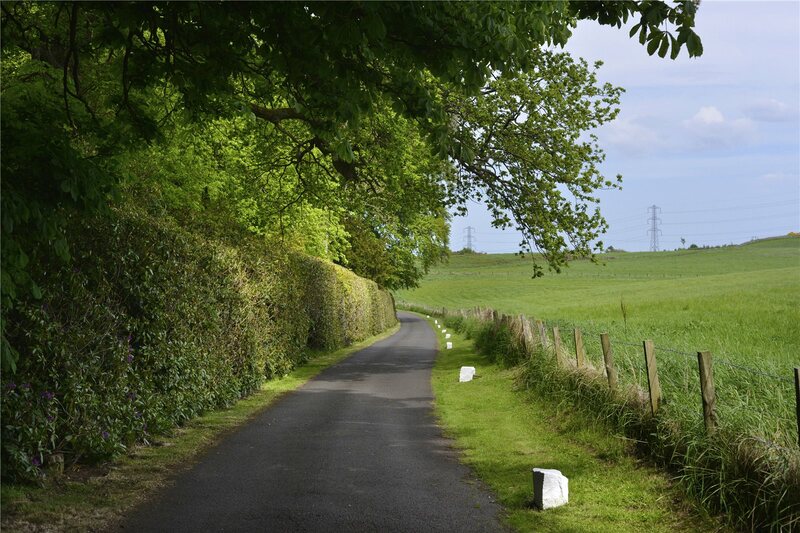 Livingston has a wide range of shops and professional services, including the Almondvale Shopping Centre and the McArthur Glen retail outlet village. 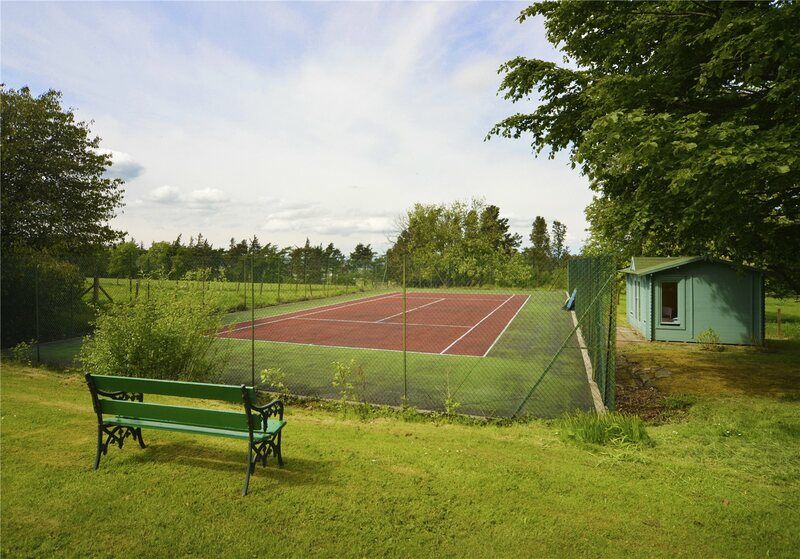 In addition, there are sports and leisure facilities and a major hospital. accessible making it a very attractive location for commuting. Edinburgh airport is only 8.9 miles, and the M8, M9 and Edinburgh bypass are all a short distance away. There is also a train station at Kirknewton with regular services to Edinburgh and Glasgow. There are several local golf courses, including the Championship course at Dalmahoy and the popular Deer Park Course at Livingston. 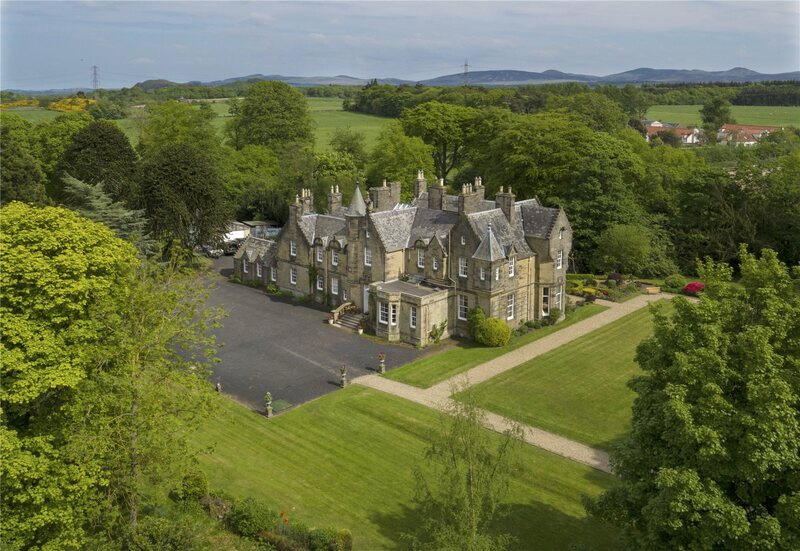 There is hill walking and mountain biking in the Pentland Hills, trout fishing in lochs and reservoirs, including Beecraigs, Linlithgow and Harperrig, and field sports available at nearby Harburn Estate. 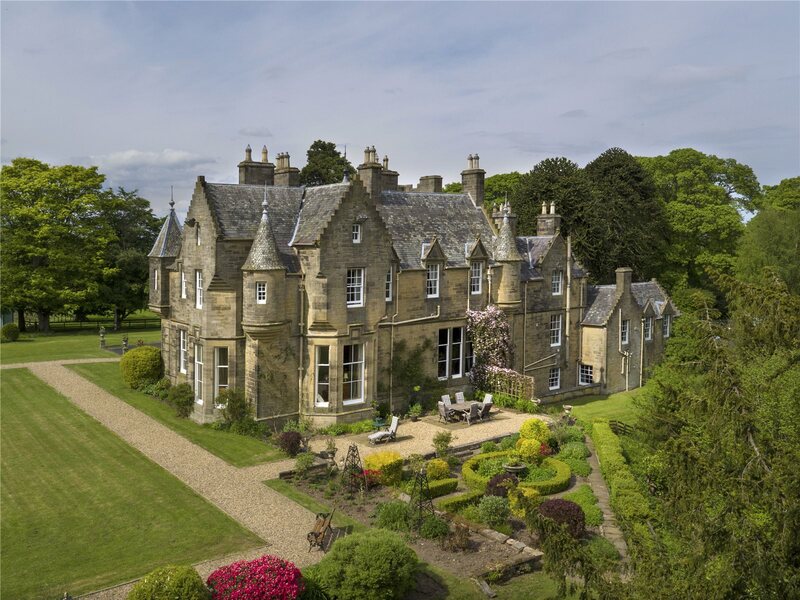 Ormiston House is situated in magnificent gardens and grounds of some 15 acres. 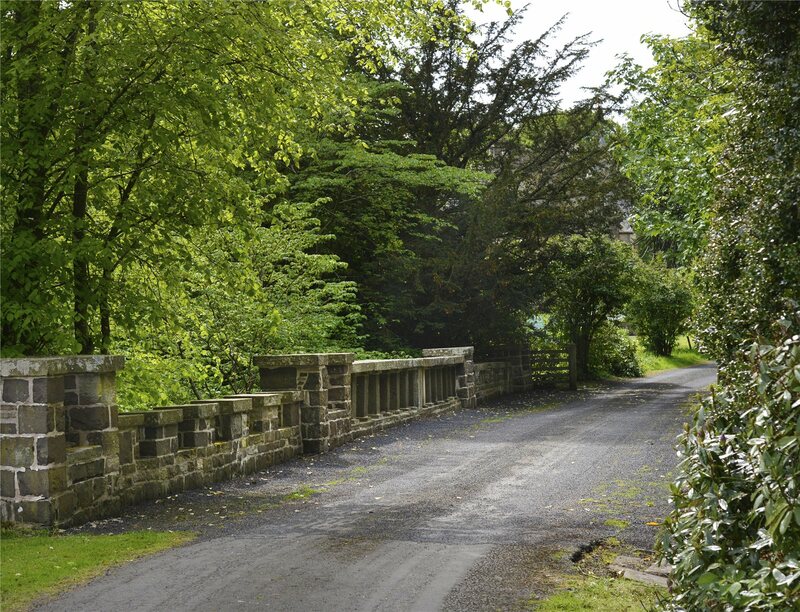 The Gogar Burn runs through the grounds and is crossed by a C Listed bridge, believed to have been designed and built around the end of the 18th century by Alexander Nasmyth, best known as an artist but also an accomplished engineer. The house is approached via a long private driveway. 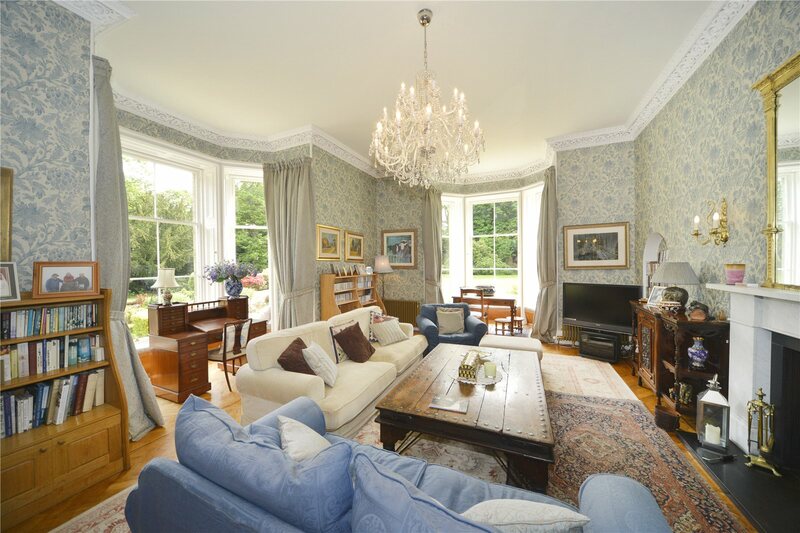 There is a substantial parking and turning area to the front of the house and additional parking to the side, adjacent to a double garage, dog kennels, a greenhouse, log store and potting shed. 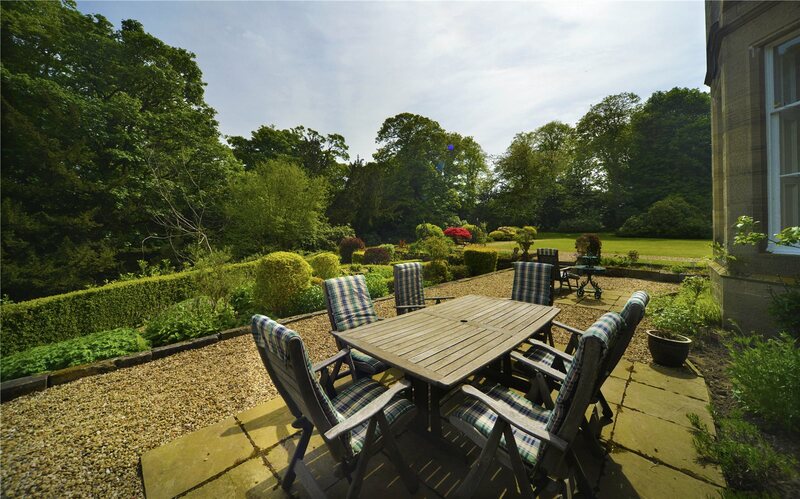 Immediately to the front of the house is a large lawn, with some fabulous specimen trees including a Wellingtonia, monkey puzzle, cedar, sycamore and beech. 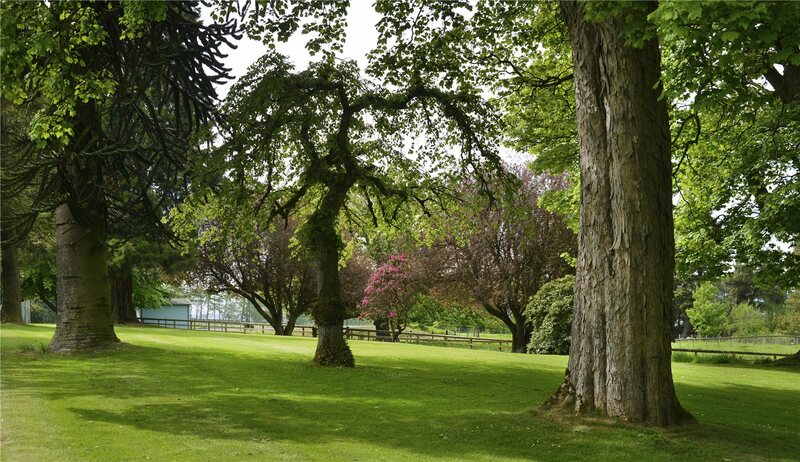 Beyond this is a hard tennis court, with a pavilion, and two paddocks providing scope for equestrian use or grazing for livestock. 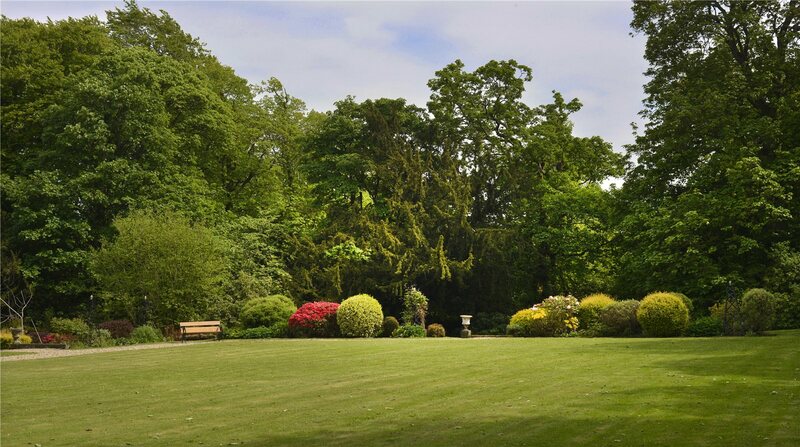 The formal garden is situated to the south of the house. There is a gravelled and paved terrace, box hedging, shrub beds, and a beautiful herbaceous border, which bounds the large lawn to the west of the house. Beyond this are more mature trees and a productive kitchen garden. There is extensive mixed woodland adjacent to the drive, which is a haven for wildlife.